What were pre-modern hospitals like? What was the difference between almshouses and voluntary hospitals in terms of patients they served? What is the nature of disconnect between how Americans say they would like to die and how they do die? The Prince Alwaleed Islamic Studies Program is pleased to announce The Medieval Islamic Hospital: Medicine, Religion and Charity A book talk with author Ahmed Ragab The first monograph on the history of Islamic hospitals, this volume focuses on the under-examined Egyptian and Levantine institutions of the twelfth to fourteenth centuries. By the twelfth century, hospitals serving the sick and the poor could be found in nearly every Islamic city. Ahmed Ragab traces the varying origins and development of these institutions, locating them in their urban environments and linking them to charity networks and patrons’ political projects. Following the paths of patients inside hospital wards, he investigates who they were and what kinds of experiences they had. The Medieval Islamic Hospital explores the medical networks surrounding early hospitals and sheds light on the particular brand of practice-oriented medicine they helped to develop. Providing a detailed picture of the effect of religion on medieval medicine, it will be essential reading for those interested in history of medicine, history of Islamic sciences, or history of the Mediterranean. Here are the questions to help you prepare for the midterm next Thursday. No Process Reflections Due Next Week! Just a reminder – please note you do *not* have to complete a process reflection next week. Please feel free to submit one for extra participation credit or for your own benefit! Thought this might be of interest to many of you! 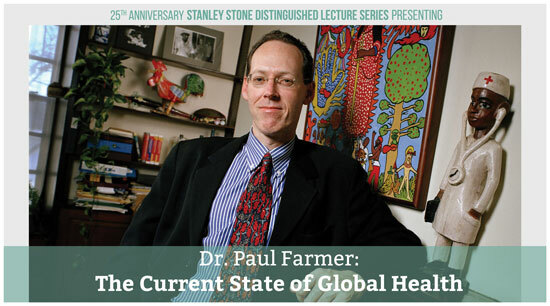 For the 25th Anniversary of the Stanley P. Stone Distinguished Lecture Series, CGS is proud to announce that internationally-renowned global health advocate Dr. Paul Farmer will come to campus for a lecture titled, The Current State of Global Health. Wednesday, November 4, 4 p.m.
Medical anthropologist and physician Paul Farmer is a founding director of Partners In Health (PIH), an international non-profit organization that provides direct health care services and has undertaken research and advocacy activities on behalf of those who are sick and living in poverty. Dr. Farmer is the Kolokotrones University Professor and Chair of the Department of Global Health and Social Medicine at Harvard Medical School; Chief of the Division of Global Health Equity at Brigham and Women’s Hospital; and the United Nations Special Adviser to the Secretary-General on Community Based Medicine and Lessons from Haiti. Dr. Farmer and his colleagues in the US and in Haiti, Peru, Russia, Rwanda, Lesotho, and Malawi have pioneered novel community-based treatment strategies that demonstrate the delivery of high-quality health care in resource-poor settings. 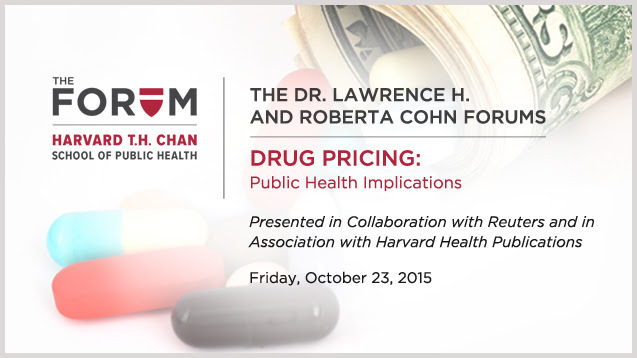 Dr. Farmer has written extensively on health, human rights, and the consequences of social inequality. His most recent book is Reimagining Global Health: An Introduction. Other titles include To Repair the World: Paul Farmer Speaks to the Next Generation; Haiti After the Earthquake; Partner to the Poor: A Paul Farmer Reader; Pathologies of Power: Health, Human Right, and the New War on the Poor; The Uses of Haiti, Infections and Inequalities: The Modern Plagues; and AIDS and Accusation: Haiti and the Geography of Blame. 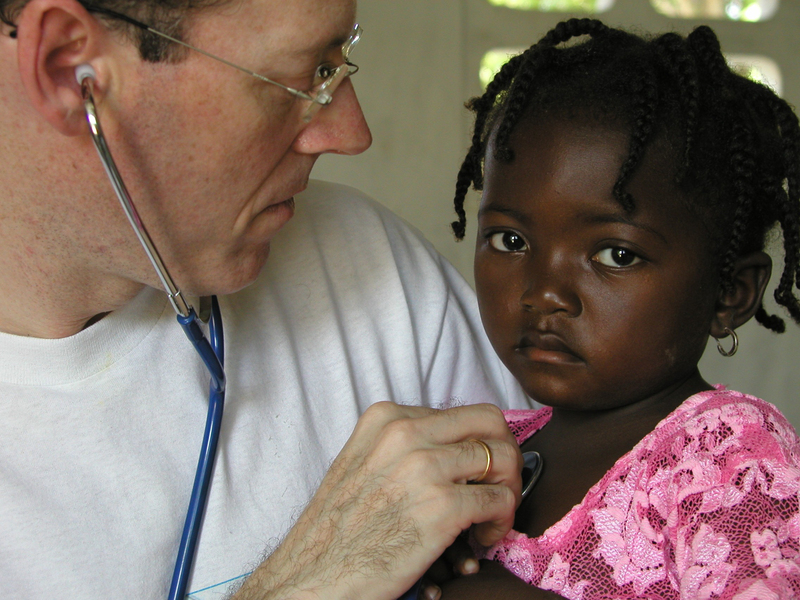 Dr. Farmer is the recipient of numerous honors, including the Margaret Mead Award from the American Anthropological Association, the Outstanding International Physician (Nathan Davis) Award from the American Medical Association, a John D. and Catherine T. MacArthur Foundation Fellowship, and, with his PIH colleagues, the Hilton Humanitarian Prize. He is a member of the Institute of Medicine of the National Academy of Sciences and of the American Academy of Arts and Sciences. So, this is not directly related to the healthcare system… But I think this article speaks to how cultural norms about disease, disability and/or illness can shift. With the increased visibility of people with autism, now in shows such as Sesame Street, how might this influence or impact how people with autism are treated by doctors? How people with autism are treated in society? How might it impact how we see and understand autistic people? Who’s watching? It’s on CNN and is streaming online at 8:30pm. Feel free to write posts on your own or respond to this thread with comments/reactions. Click here for midterm review slides. And to practice the warm-up again. Re: David’s question in section 2 about the downside of Canada’s health care system, it is what we discussed: waiting times for elective procedures and tests were a downside. Process Reflection requirements are found in the discussion section syllabus but just to recap: Please aim for 250-300 words. I encourage you to share them on the blog but realize they can be personal so if you’d like to email them to me instead, you have the option to do that. This is part of your participation grade so please be willing to share your thoughts with the rest of the class. What have you found most hard to believe, interesting, upsetting, or confusing about the health care system? What are your gut reactions or knee-jerk responses to the course materials? How might the ideas we have learned about so far shape your future as a health care consumer, potential medical provider, family member, friend, advocate?